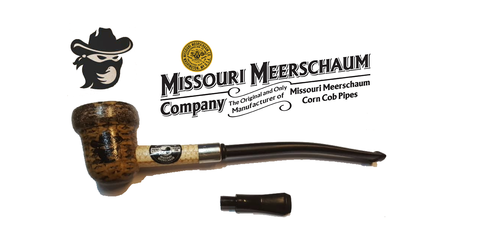 Crow Valley Pipe Company and Missouri Meerschaum Company have collaborated to introduce the Outlaw Series of Corn Cob Pipes – a new addition to our popular family of nosewarmer style pipes. Cole Younger, part of the James-Younger gang and a fellow bushwacker with Jesse James during the Civil War, robbed banks, trains, and stagecoaches. 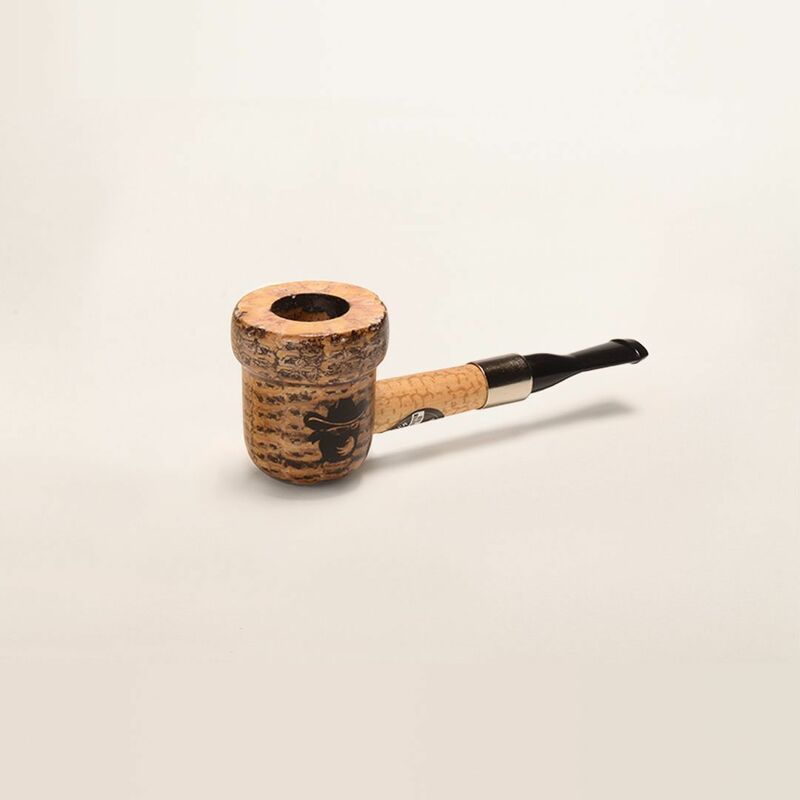 The Cole Younger pipe was inspired by the shape of a stagecoach and features a wide nickel band. 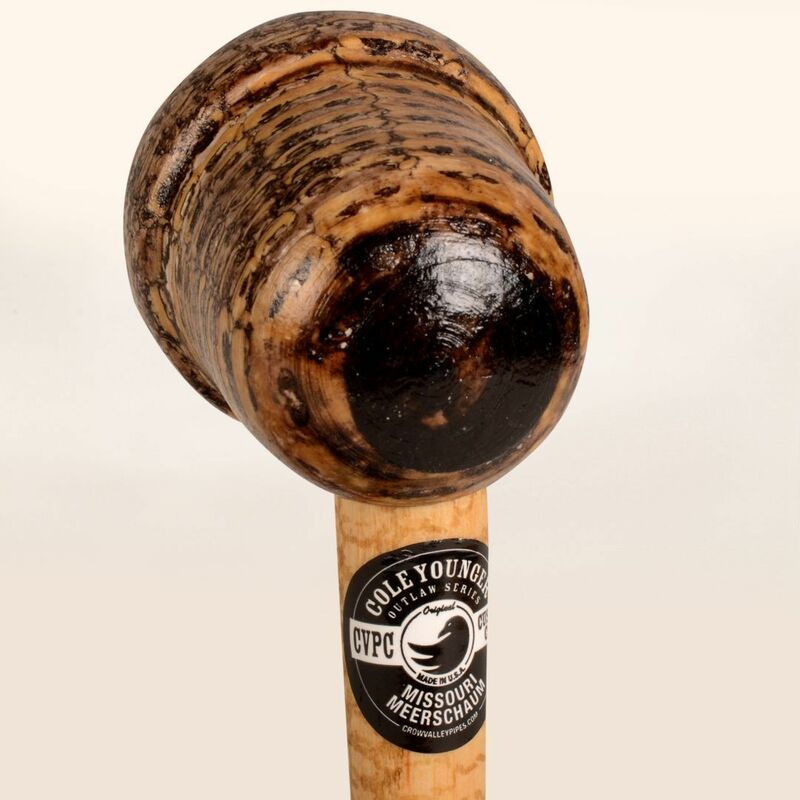 Comfortable in the hand, the Cole Younger has its own unique label and is branded on the side of the bowl with the Outlaw Series Bandit. This pipe, like all the pipes in the Outlaw Series, has a genuine hardwood insert in the bottom of the bowl and is only available as a straight, non-filtered pipe.